You need a copyright. I would suggest that you don’t get it from a third-party website. You actually can go to copyright.gov. You want to make sure you copyright your work in your name. This is a service I give to my clients in my publishing company. I copyright their books under their name so they have all rights to their work. But you can also do it yourself; one single manuscript is going to cost around $35.00. You definitely want to have your ISBN, which is your International Standard Book Number. That’s the number that goes on the barcode and is directly assigned to your book. Whoever owns that ISBN owns the book. You want to own the rights to your books and avoid a free ISBN given from online publishers. Although the free ISBN sounds enticing, they will own the rights to your book. They can sell your work to whatever outlet they want to and they will get the royalties as well. They might give you a small cut since you are the author, but they don’t have to tell you anything because they own the rights to it. You can get the ISBN by going to isbn.org. There are some third parties that do it, but you want to stay legit. (2) Don’t use real names and location. You can still talk about the situation but under an alias. Switch up the names so they won’t be recognized and avoid the legal consequences. 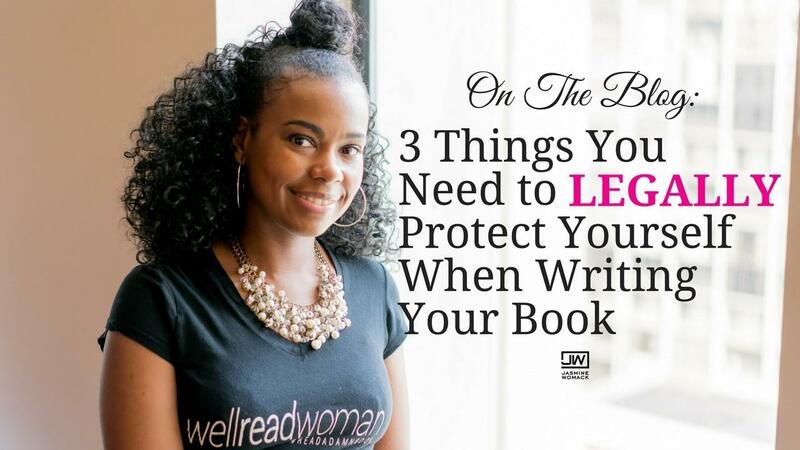 These are some things you need to know to protect yourself when writing a book. If you found value with this content in this post just shoot me an email with your feedback to [email protected]. Also, make sure you download the free audio training to learn the exact process you need to write and publish your book in 90 days. Click HERE for the free training!